Look for a Teal Pumpkin this Halloween! Did you know that 1 in 13 kids in the US has a severe food allergy? That’s nearly 2 per classroom at ANCS on average. Halloween can be a tricky time for these kids and that’s why the Teal Pumpkin Project was started…to help make Halloween inclusive for ALL kids. If you see a teal pumpkin displayed on someone’s porch tonight, that’s a signal to tell you that the treats being given out at that house are allergen friendly. 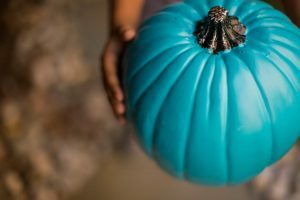 So whether you have a child with a severe food allergy or you are a friend to a child with an allergy, please help keep everyone safe this Halloween by looking for Teal pumpkins. You can find out more about the Teal Pumpkin Project here.